The origin of Hawkman revealed! Rocketing across the cosmos in his newly re-covered spaceship, Carter Hall is en route to the next stop on his adventure through time and space. He doesn’t have Netflix to pass the time, but he does have something even better. 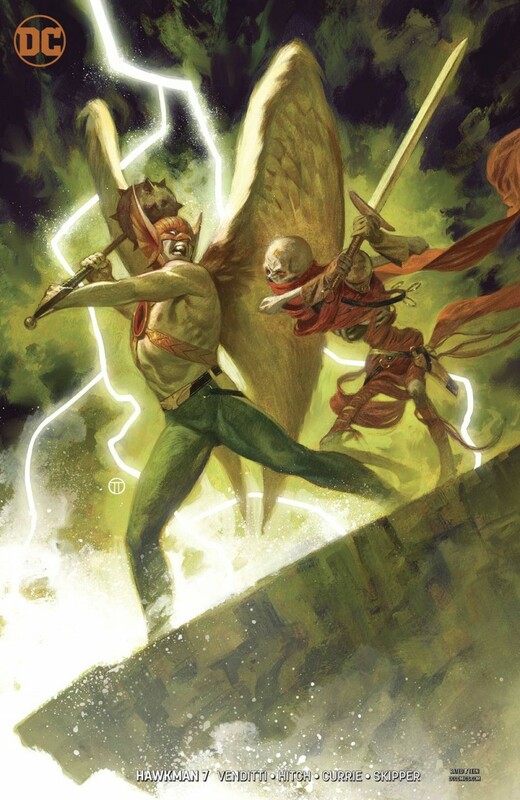 Locked within the ship’s memory banks is the truth behind Carter Hall’s reincarnation ability, as well as his connection to the Deathbringers-giant, winged beings of immeasurable power on their way to destroy Earth!